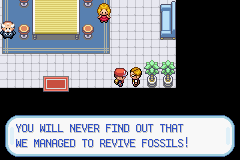 This is a Hack of Pokemon FireRed US. 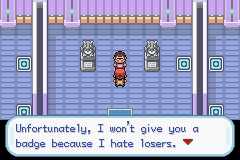 Hey, I'm AmazingCharizard aka RocketLeader(best name ever btw since it's true )and this is my first attempt at Pokemon Rom hacking. 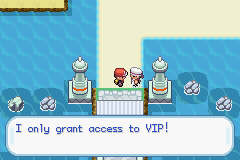 So please have this in mind as you play this hack that I've tried my best since the idea of being a member of Team Rocket has always fascinated me. -Catch over 380 Pokemon, most of them catchable before the Pokemon League! -Meet familar faces from other Pokemon games who'll be either friend or foe(rather foe, better than if it was the opposite, right?)! -Some road blocks will ony vanish if you got the right badge! 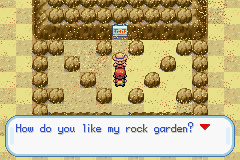 For example the policeman at Route 107 will only disappear if you got 2 badges(Sometimes you need to leave and come back. -Talk to everyone. 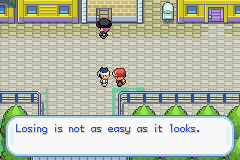 Seriously, even if you don't like to hear(read) what Youngster Joey has to say about his Rattata, listen to the people. I hope you won't regret this. 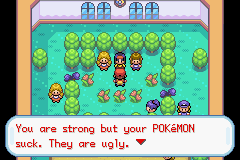 -Open your eyes.Pokemon is about discovering on your own. When you've spent at least a month and you still can't progress then feel free to post your problem here. After the main story: If you want to continue you need to have captured at least 60 Pokemon! and then talk to you-will-know-who. It doesn't matter if they're originally from Kanto or from other regions! UPDATE: So, for those people who couldn't or didn't want to to play using Vizzed, I've uploaded an IPS-patch. 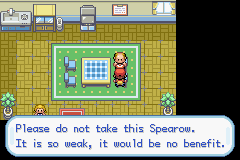 Download this patch and use it on a clean Firered 1.0 rom (which you have to get yourself of course). If you've played on Vizzed and still would like to do so, you still can. Happy playing, guys & girls! Screenshots:: You find a few in the Attachments and in the spoiler. I don't want to spoil too much so the screenshots hopefully won't tell you that much about the plot itself. Update: Here are (probably) all changed evolutions, just in case you need them. Golbat evolves at Level 40. Evolve Poliwhirl by Water Stone/Sun Stone. Kadabra evolves at Level 44. Machoke evolves at Level 44. Graveler evolves at Level 44. Evolve Slowpole to Slowking by Water Stone. Magneton evolves at Level 44. Haunter evolves at Level 44. Onix evolves at Level 36. Rhydon evolves at Level 55. Evolve Tangela by Leaf Stone. Seadra evolves at Level 45. Scyther evolves at Level 40. Evolve Electabuzz by Thunder Stone. Evolve Magmar by Fire Stone. Evolve Eevee to Umbreon/Espeon by Moon Stone/ Sun Stone. Shinx evolves at Level 15. Luxio evolves at Level 30. Sandile evolves at Level 29. Krokorok evolves at Level 40. 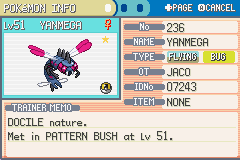 Yanma evolves at Level 34. Murkrow evolves at Level 36. Misdravus evolves at Level 36. Gligar evolves at Level 36. Sneasel evolves at Level 36. Piloswine evolves at Level 44. 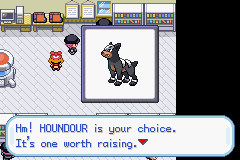 Houndour evolves at Level 30. Skorupi evolves at Level 40. Silcoon evolves to either Beautifly/Dustox. Ninjask evolves at Level 36. Feebas evolves by Water Stone. Carvanha evolves at Level 30. Trapinch evolves at Level 30. Dusclops evolves by Moon Stone. Vigoroth evolves at Level 36. Clamperl evolves by Sun Stone/Moon Stone. Update: For those wondering why I uploaded an IPS patch after all this time - Because Vizzed was sued by Nintendo, people who didn't play it until now can't download and play the game through Vizzed. If you played on Vizzed before and didn't remove anything then you should still be able to play Rocket Strike as usual. 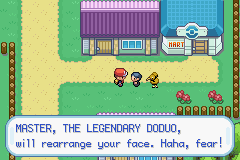 This hack was mainly created because of a Rom Hacking competition so I rushed some things, I guess. There're probably some little errors like text not disappearing but I hope you'll look at the total package...and deal with it. And if you get stuck you may post it here, I hope that I can assist if you need help. Last edited by RocketLeader; 20th March 2016 at 05:38 PM. Last edited by locksmitharmy; 10th February 2014 at 01:53 AM. The hack is cool , but it would be cooler if we had a rocket sprite , maybe use the redhaired grunt sprite ? But it wouldn't look good when I replaced the player'S OW with a rocket but without changing trainer pass/trainer sprite in battle. If I knew how to do this, I would have. Yeah, I plan to do this in my next hack when I get some free time. If you just started it once then the game is saved on your computer. Then you can play it anywhere, anytime If you can't find, just use Windows Search and look in the Vizzed folder(s) on your pc.